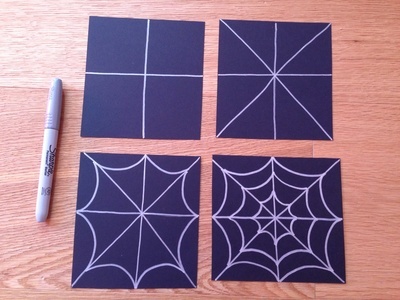 Create an easy spider web invite for a Halloween party. Cut out a square of black card to fit your envelope. Draw a cross shape in the square using a silver pen and then draw lines across the diagonals of the square to make a star effect. 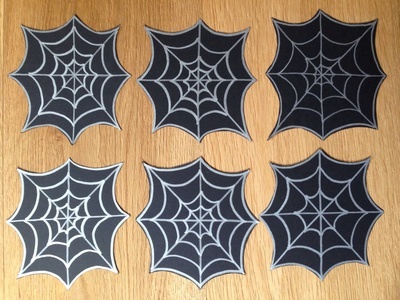 Draw curved lines between the points of the 'star' to give a spider web outline. Draw more smaller curved lines inside to create your web. 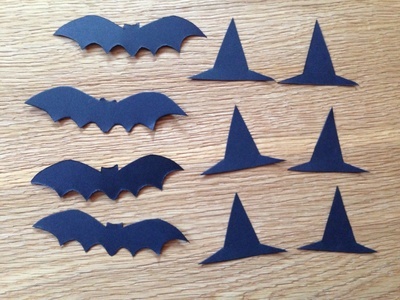 Cut out around the edge of the spider web shape. On the back, write your party invite message with silver pen. 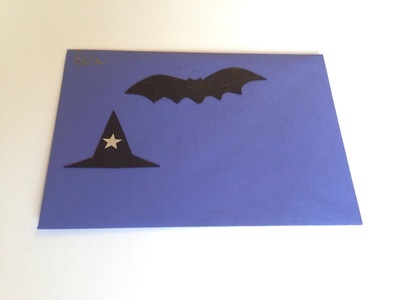 For our envelopes, we cut bats and witch hats out of some of the black card scraps and stuck on to the envelopes to decorate.